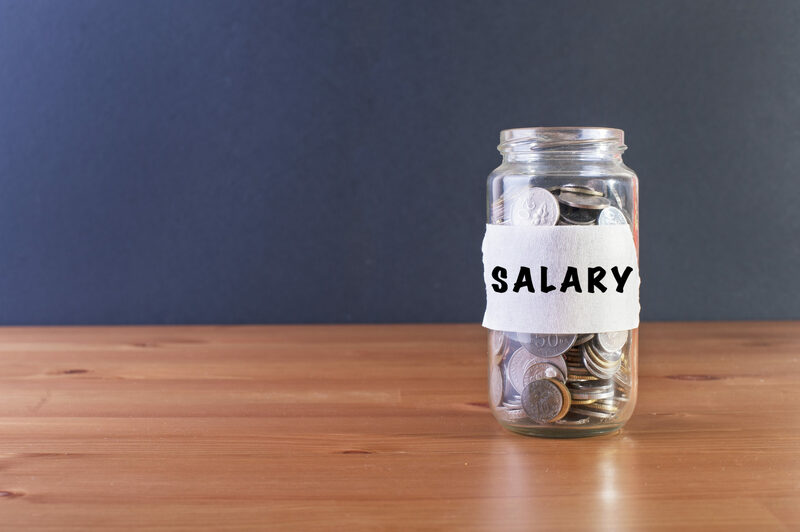 Salary negotiations don’t have to be hard. Silicon Valley is ripe with Stanford alumni and dropouts. There’s a good reason why it’s such a popular school: its graduates get paid. A new study from PayScale details how much graduates earn from top schools, and which degrees pay best. With regard to tech, Stanford alums who majored in Computer Science (CS) outpace those at other schools: early-career pay (0-5 years experience) is $101,000, while mid-career pay (more than 10 years experience) is $173,500. The ultimate conclusion here? Computer Science majors have great salary potential. The study takes into account early and mid-career earnings by degree, and notes: “Some degrees pay you back, but others don’t do much to increase your earning potential.” A CS Bachelor’s degree ranks 14th on the list, which is fairly high, but it’s nonetheless beaten out by a long list of traditional engineering and mathematics degrees. Education is the first mile; a job is the rest of your journey. We’ve already noted Silicon Valley may not be the best place to stretch your salary, but it also might keep you job-hopping. A recent survey from Paysa says tech jobs at big companies such as Google and Apple tend to last less than two years. Those companies also hire a lot of fresh-faced graduates. But if you have a choice between, say, Stanford and Iowa State University when deciding where to go for your tech degree, PayScale’s study should help make the choice very clear. How about schools like Strayer University. How about completing a report on why adults going back to school and changing careers can’t find work because they lack the experience. That’s the problem I’m having…got my associate’s degree from brightwood college but no one will hire cause I don’t have “work experience “. I have a Linux background and I’m using a cross compiler to create C# software that runs on Windows platforms. Been working on an app since 2015 while working 1 or more unrelated IT part-time jobs over the past few years. If your area of interest is software development, you could do what I’m trying to do — create an app and eventually sell it in person to the customer I have in mind and/or sell it online. If your interest is in security or admin or virtual or cloud stuff, I don’t know what you can do in the meantime but …I’ve taken the Steve Jobs approach (read his book) on creating something and selling it myself. I forgot the work ‘to”. Meaning stuff like restaurant jobs, retail work, etc. Hate to break it to you, a degree, worse, an associate degree from these non-traditional/for profit institutions (Kaplan, Strayer, Phoenix etal) are not looked at very highly when it comes to hiring prospective employers. You can boost your hiring potential by actually writing something. Share what you have done. Start participating in open source projects that you are interested in. Show them what you can do and what to do. For profit schools such as strayer have a hugh credibility gap in the marketplace. I know from experience.. you can leverage with a respected certification or get another degree from a credible university.. I agree. Got a Master’s in Info Security which is not all about IT, but all the job descriptions want formal IT experience! I have relevant business experience. The schools listed are for the elites. I work around some of these grads (Columbia, Carnegie Mellon). They are as lost as can be. One is the all smiles perky exotic gal who charms the boys in the c suites, the other is lazy no nothing who takes others ideas and pretends they are his. Both of them took the ‘”Fake It Till You Make It” course offered at Harvard. Don’t get me going on Haaaavaaad. Plus these schools won’t take American students now. What a sad article and a SAD world we live in. It’s all about the $,$$$,$$$. Two years on a job and go? That’s FRAUD. Funny how foreign grads have no problem getting work experience, yet US grads have to struggle. If you want to make this report more relevant, you should include a column for average tuition costs at the schools. Most of these schools charge huge costs to attend, which should be a factor for the student and their parents. Sometimes one of the “second tier” colleges give you an education as good as these, but at half the price. Maybe things have changed, but I found that 10 years out of college, where I went (or even that I went) was far less important to a potential employer than my work experience. This is a good description of the Silicon Valley Echo Chamber. The people doing the hiring mainly want people who went to their schools and think like them. And then they publicly complain and shed phony tears about the lack of diversity in their companies. This insular echo chamber not only actively keeps out women and minorities, but also good ol’ boys like me from excellent schools like North Carolina State, Clemson and Georgia Tech. Interesting study, but where does it account for regional differences in where the bulk of their graduates end up? I’m guessing a LOT of Stanford University graduates end up in Silicon Valley, whereas someone from an Iowa State may end up in the midwest where salaries are naturally lower. Someone from one of the ivy leagues or even Penn will find jobs most likely in east-coast urban areas which again, are going to be larger salary regions. So with that in mind, the one that really stands out to me is Duke, but if you factor in the costs of attendance and cost of living in the associated region, I’m not sure the math is so cut and dried when comparing schools. Cal Berkeley is the only public school amongst those listed. What’s the ROI for the schools on the list after 4-5 years? Go Bears! I stop reading dice a while ago because most of there articles where poorly researched and only applied to people who came from wealthy families. I see things have not changed that much. Articles are not written for the average technologist out in the field or trying to get into it.